We manufacture a variety of laser beam expanders to suit most laser types, from small waveguide lasers up to multi-kilowatt industrial lasers. There is also a modular range for experimental and laboratory purposes. The most common type of beam expander is derived from the Galilean telescope which usually has one negative input lens and one positive output lens. The input lens presents a virtual beam focus at the output. For low expansion ratios (1.3-20 times) the Galilean telescope is most often employed due to its simplicity, small package size and low cost. 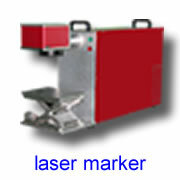 xxxx------- laser wavelength: 10.6 means 10.6um, 532 means 532nm, 633 means 633nm. Z -------- lens material: Z means ZnSe; G means GaAs, none means optical glass. L ---------- beam expander shaper, L means trumpet-shape, none means cylinder shape. M --------- connection: M means screw connection; none means cylinder connection. T ---------- type: T means adjustable beam expander; none means fixed beam expander. Example: BEST-10.6-3GM: 10.6um fixed beam expander, 3x, GaAs material, cylinder, screw connection. BEST-10.6-3.5Z: 10.6um fixed beam expander, 3.5x, ZnSe material, cylinder. There are 2 types of beam expander: fixed and adjustable beam expanders. For the fixed beam expanders, the spacing between the two lenses inside the beam expander is fixed, but the spacing between the two lenses inside the adjustable beam expanders is adjustable. The lens material is ZeSe, which allows the red light to go through the beam expander. there are 2 types of outlines: cylinder shape and trumpet shape. For each outline there are 2 types of connections: cylinder connection and screw connection. 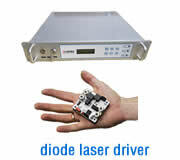 These beam expanders are designed specially for large divergent laser beam. Changing the distance between two lenses inside the beam expander can decrease the beam divergence to obtain better collimation of the laser beam. If they are used for large-divergence laser beam, you may turn the inner body to increase the spacing of two lenses and then to obtain better collimation laser beam. The material is ZnSe and thus the red light can go through the beam expander. The high-power beam expander has a slide and lock focus setting. Normally this is set to infinity during manufacture. However, if a customer needs to adjust this to suit their system, the output should be coupled an adjustable pipe so this too can be adjusted to maintain an overall fixed length. Note that your input beam diameter should not exceed two-thirds of the input aperture. The output clear aperture is the same for all magnifications, 25mm. 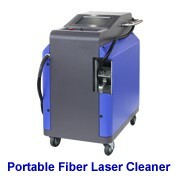 If your expanded beam diameter is 14.5mm to 22mm, the allowed input laser power can reach up to 500W. The input end has a M29 x 1.0 male thread and the output has the same female thread to take thread adaptors for coupling to other. The SBE series of beam expanders are designed for use with CO2 lasers of (relatively) small beam diameter, between the limits of around 2mm up to 12mm, and for power levels of up to 1kW CW. SBE units may be used to increase beam size, and reduce laser divergence accordingly. A wide range of magnifications is available to enable best performance to be obtained from the laser. The SBE series of beam expanders are of Galilean type, with two ZnSe lenses. The lenses are made from laser grade ZnSe and treated with ultra-low absorption anti-reflection coatings for 10.6μm. All models are externally identical. The focus range is from -10 metres, through infinity, to +1.6 metres. It is factory calibrated from infinity to +2 metres focus range. Please note that the indicated focus is geometrical, and the actual downstream beam waist position will depend upon the parameters of the laser beam. The focus mechanism is of the actuated-slide type, and actuation of the focusing ring drives the output lens position in a linear, non-rotary sense. This mechanism reduces beam wander usually experienced with rotary focus mechanisms. The SBE series beam expanders can be used to reduce beam divergence and to help achieve very high energy densities from quite low laser power. 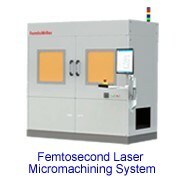 For example, if used with a 10W Synrad laser, a model SBE/60 plus a TF25 focusing lens, would generate an energy density of around 20kW/mm² at the focus. Typical applications for the SBE series beam expanders with low power lasers include drilling holes in plastics, cutting paper and card, cutting man-made fibre material and rubber, and engraving decorative wooden plaques. In common with other beam expanders, the SBE series can provide a long-path of consistant beam quality. They may be used in conjunction with moderate power (several hundred watts) CO2 lasers to enable large cutting bed applications, such as the processing of sail-cloth. The BE25 series of beam expanders is designed for use with CO2 lasers of up to 2kW CW power. 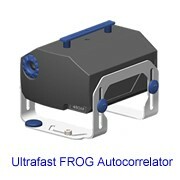 The units are water cooled and incorporate an actuated-slide focusing mechanism to reduce beam wander during focusing. By reducing beam divergence and allowing the user control over the ongoing beam characteristics, these industrial laser beam expanders can improve system Performance, especially in large moving-optics systems. Type: Fully corrected Galilean type, with ZnSe lenses. Construction: Aluminium alloy, black anodised. Lenses mounted using indium wire to aid heat transfer. Cooling: Water (or air) cooled, via 8/6 size fittings. Focus range: From infinity down to 2.8 metres. Calibrated. Beam wander during focusing: 2 minutes of arc over full range. Output clear aperture: 35mm diameter. Fitting: Via standard 52.0 dia x 1.5 pitch coupling ring. The actuated-slide mechanism drives the output lens in a linear motion, reducing beam wander that can occur in rotary mechanisms. The geometrical focus setting is calibrated from 2.8m to infinity. Please note that the downstream beam waist position will depend upon the laser beam characteristics as well as the focus setting. Geometrical focus is calibrated for a plane wave input. The specific applications for the BE25 series beam expanders are too numerous to list. In general, they are used by many system integrators in moving-optics cutting systems, long-bed anilox processing and a variety of systems where a controlled beam and increased focused energy density are desirable. The BE38 series of beam expanders is designed for use with high power/large beam diameter CO2 lasers of up to 3kW power CW. These Galilean beam expanders use two ZnSe lens elements made from laser grade ZnSe and treated with ultra-low absorption anti-reflection coatings for maximum power handling capacity. BE38 series beam expanders use an actuated-slide focus mechanism to reduce beam wander during focusing. The units are water cooled. Use of these beam expanders can improve system performance by reduction of the beam far-field divergence and by providing control of the ongoing beam parameters. Type : Fully corrected Galilean type, ZnSe lenses. Construction : Aluminium alloy, black anodised. The lenses are mounted using indium wire to aid heat transfer. Cooling : Water cooled via 8/6 size fittings. Focus range : From infinity down to 2.8 metres. Calibrated. Output clear aperture : 57mm diameter. Input clear aperture : 38mm diameter. Fitting : Via 70.0mm x 1.5 pitch connector ring. Beam wander during focusing : 2 arc minutes over full range. The actuated-slide mechanism causes the output lens to be linearly repositioned when the focus control ring is rotated. This reduces the beam wander that can occur with rotary focus mechanisms. The geometrical focus position is calibrated from 2.8 metres to infinity. Please note that the downstream beam waist position will, in general, be different from the geometrical focus setting. The geometrical focus is calibrated for a plane wave input. Remark: the dimensions of 532nm and 1064nm beam expanders at same models/expansions are same. Our beam expanders with fixed expansion factor offer certain advantages compared to systems consisting of only two single lenses. For collimation, we use an air spaced two lens system in order to minimize aberrations and reach diffraction limited performance. In addition, the divergence of the expanded beam can be easily adjusted. The design is a Galilean type, i.e. there is no internal focus and the system length is short, compared to a Kepler type system. New is the compact version with a length of 44.7 mm only. For remote controlled setting, we developed motorized versions of our beam expanders. For standard systems, a motor adapter can be incorporated to drive the mechanics used for divergence setting. * ALPHA means Absorption Low Plus High Aperture.